Topic: My Bandicam now records another kind of distorted video -- how to fix it? Topic: My Bandicam records distorted video -- how to fix it? Re: My Bandicam records distorted video -- how to fix it? The problem is now fixed! Thank you! Topic: Cant hear myself while recording? Re: Cant hear myself while recording? 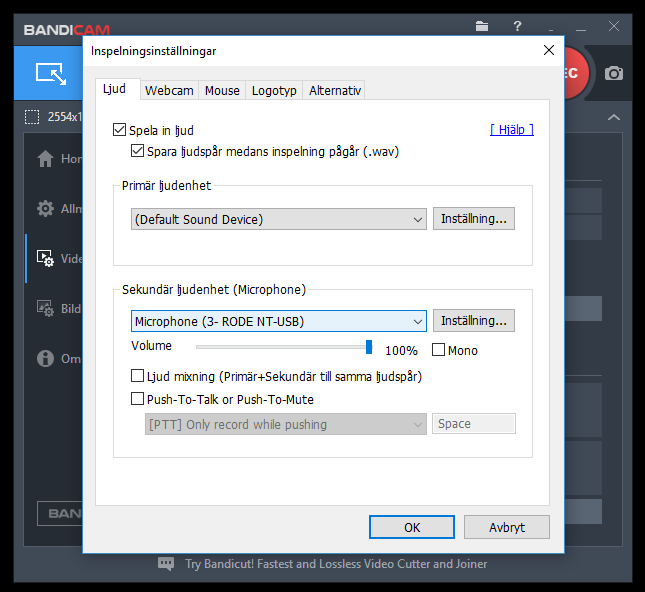 Have you set your microphone as the secondary sound device? My Bandicam records distorted video -- how to fix it? I don't know how to describe this phenomenon. But here it is. Can you see it? By the way, it's only in Screen Recording Mode. Does anyone know how I can fix this? It wasn't like this for me two years ago.